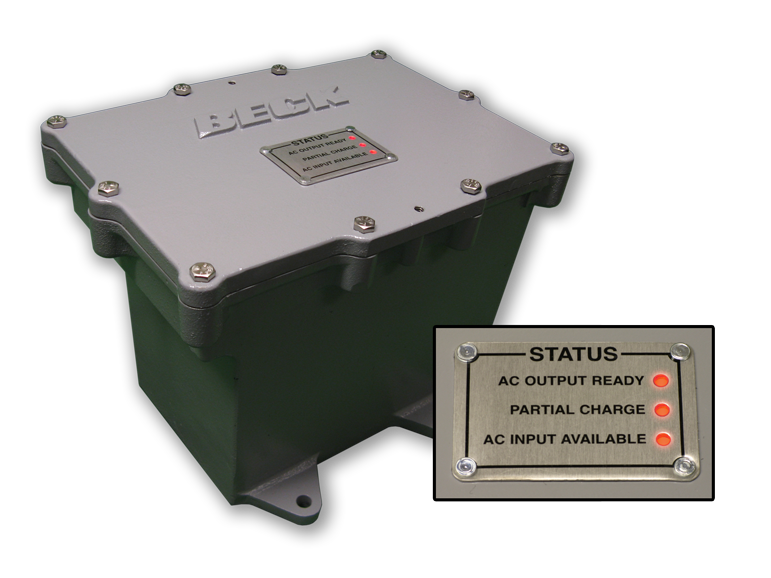 The Beck Backup Power Unit provides short-duration, backup power for Beck actuators. It is designed to either provide power for fail-to-position actuator response or to maintain normal actuator operation for a short period. The Backup Power Unit is different from most similar devices because it uses ultra-capacitors to store energy instead of a battery. The capacitors eliminate the concerns associated with battery-style devices because they provide much longer life and higher reliability. 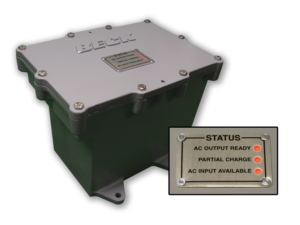 The Backup Power Unit utilizes a cast aluminum, Type 4X enclosure and is suitable for hazardous locations. The unit may be mounted anywhere and does not need to be near the actuator. Convenient indicator lights are visible on the outside of the box to indicate AC OUTPUT READY, PARTIAL CHARGE and AC INPUT AVAILABLE.